PHILADELPHIA – Being able to understand speech is essential to our evolution as humans. Hearing lets us perceive the same word even when spoken at different speeds or pitches, and also gives us extra sensitivity to unexpected sounds. Now, new studies from the Perelman School of Medicine at the University of Pennsylvania clarify how these two crucial features of audition are managed by the brain. “It’s really important to understand the mechanisms underlying these basic auditory processes, given how much we depend on them in everyday life,” she added. Researchers found that a perceptual phenomenon known as “stimulus-specific adaptation” in the brain might help with this complex task. This feature of perception occurs across all our senses. In the context of hearing, it is a reduction of auditory cortical neurons’ responses to the frequently-heard, “expected” sounds of any given environment. This desensitization to expected sounds creates a relatively heightened sensitivity to unexpected sounds—which is desirable because unexpected sounds often carry extra significance. While this phenomenon has been studied for decades, there were limited tools available previously to examine the function of specific cell types in stimulus-specific adaptation. In the study, Geffen’s team used recently discovered optogenetics techniques—which enable a given type of neuron to be switched on or off at will with bursts of light delivered to a lab mouse’s brain through optical fibers. Both are inhibitory interneurons, which lessen and otherwise modulate the activity of the main excitatory neurons of the cortex. 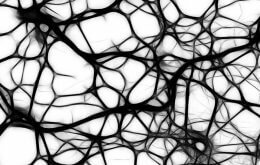 The researchers found that one population of interneurons, somatostatin-positive interneurons, exerts much more inhibition on excitatory neurons during repeated, and therefore, expected tones. The other tested population, parvalbumin-positive interneurons, turned out to inhibit responses to both expected and unexpected tones—but in a way that also has the net effect of enhancing stimulus-specific adaptation. Geffen and her team now plan to use their optogenetics techniques to study how the manipulation of these interneurons affects mice’s behavioral responses to expected and unexpected sounds. This is a problem that speech recognition software has been grappling with for many years. A solution to that is to find a representation of the word that is invariant to the acoustic transformations. Invariant representation refers to the brain’s general ability to perceive an object as that object, despite considerable variation in how the object is presented to the senses. Humans tend to take this ability for granted, but it is often greatly diminished in people with hearing aids or cochlear implants. Both studies were supported in part by the National Institutes of Health (R03DC013660, R01DC014479), the Klingenstein Foundation Award in Neurosciences, the Burroughs Wellcome Fund Career Award at Scientific Interface, Human Frontiers in Science Foundation Young Investigator Award, and Pennsylvania Lions Club. Other coauthors on the Journal of Neurophysiology study are Diego Laplagne, Andrew Jaegle, John Briguglio, Laetitia Mwilambwe-Tshilobo, and Ryan G. Natan. Other coauthors on the eLife study are Laetitia Mwilambwe-Tshilobo, Sara Jones, Mark Aizenberg, and Ethan Goldberg.